Taina 1-1-25811-21: Buy Tamaris Overknee boots online! 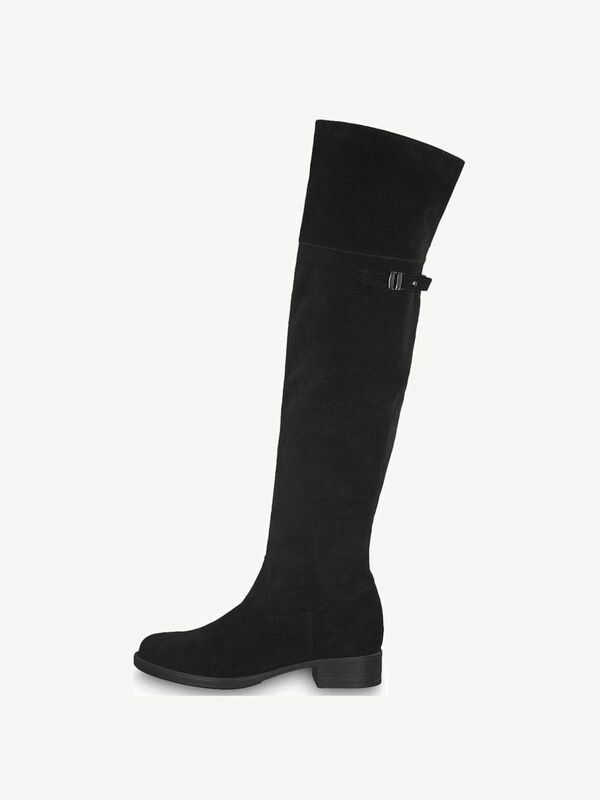 This overknee boot comes in a subdued color and with a flat heel. It owes its appealing design to the high-quality manufacturing of the leather. The beautiful shape and stylish design make this shoe a must-have for every shoe cabinet. The robust durability and timeless design will never let this shoe go out of fashion. In addition, the boot can be worn all year round with different outfits such as pants, skirts, dresses or shorts and it always exudes beautiful elegance.